It’s Spook-tober! While any time of the year is good for a great horror movie, October really is the best time to binge watch the genre and we’re picking some of our favorites to review in this column. Last time Michael chose Predators. This week Aaron takes Michael out from under the proverbial rock to show him The Wicker Man. Aaron Hubbard: This was an easy pick for me. Michael requested a horror movie he hadn’t seen, and this happens to be one of my favorites and a very different type of film than what people usually think of when they hear “horror”. And it’s got a great performance from one of my favorite character actors of all time to boot. Michael Ornelas: This was so far off the beaten path for “horror” but the ending is truly a classic horror spectacle in and of itself. While I had mixed feelings about the overall package, I’m leaning to the positive side. 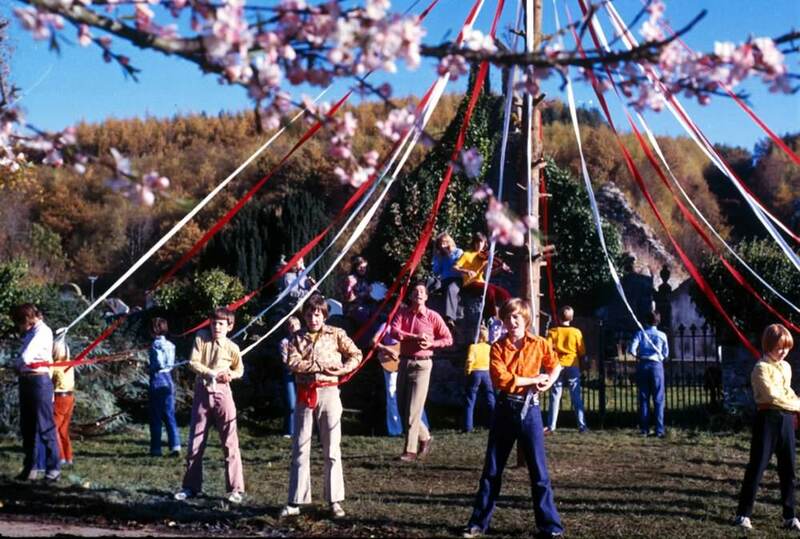 Aaron: The Wicker Man is a 1973 film, a horror movie that predates the main wave of 70’s horror: The Exorcist, The Texas Chainsaw Massacre, Alien, Halloween, etc. In many ways it’s closer to a 1950s sci-fi horror in that it’s more of a mystery film, but instead of aliens or science monsters the scary mystery is a religious cult and an entire neighborhood who are hiding secrets. This is a film that preys on your paranoia: despite everyone’s pleasant demeanor, there’s something sinister going on among these people and Sgt. Howie is trying his best to uncover it. He’s so sure of one thing, only to find out that he is so very, very wrong about what the inhabitants of Summerisle have in store for him. Aaron: Another thing I find interesting is how the film plays for me now as opposed to when I first saw it. Sgt. Howie walks a fine line between sympathetic and kind of annoying; he’s extremely judgmental of the people of Summerisle, and obnoxiously pious. But he’s also trying his hardest to save the life of a missing girl, and later on he’s trying to bargain for his life and plead his case that their plan to sacrifice him is murder. It’s an interesting take on a protagonist and I find myself oddly satisfied when he meets his fate… while also feeling sorry for him and shaking my head imagining what it would be like to be in that position. Michael: While I didn’t really enjoy the customs of the cult in the movie, I think the filmmakers did an excellent job of building the world. From the songs, to the festival, to the behaviors of seemingly everyone in the film, it was all fresh. I felt like a tourist, or like I was watching a documentary about a foreign people, and that’s crucial to making the story work because Sgt. Howie is every bit as much of an outsider as we are. His confusion is our confusion and it gives the movie the right perspective to make it accessible. Aaron: The film is actually astonishingly well-researched, using bits and pieces of different Pagan religions to create one that feels authentic without condemning any particular belief system. I feel like the effect is powerful, as you feel like you’re being pulled back in time to when ancient customs and important songs and stories were passed down, before Christianity dominated all of Europe so entirely. I love the detail in this picture, how everything from the costumes to the food is used to put the viewer on edge. The last act, with the festival, is one of my favorite scenes and always makes me think “Halloween” despite being a spring celebration. Michael: The last act is sooo unnerving, and that’s where the film really dug its hooks into me. The other things made me…curious, but not necessarily engaged, but everything during the festival, and leading up to the infamous fire are terrifying. In broad daylight. That’s so difficult to accomplish, in my opinion. But again, everything about the culture is weird. There’s a literal full length song with a naked woman dancing in her room and singing to Sgt. Howie through the walls, trying to tempt him. Aaron: Most of the runtime is spent softly creeping out the audience, but the film takes a sudden turn when Sgt. Howie finds out that there has been no murder on Summerisle… yet. When the girl he believes is going to be sacrificed reveals herself to be playing a part, the film charges full force to an amazing climax. Christopher Lee’s menace as he explains how Howie is perfectly suited to being a sacrifice for their crops always unnerves me, but I especially love how the sheer force of numbers makes it clear that Howie has no chance to escape. And when we finally understand why the film is called The Wicker Man, the movie provides one of the most haunting scares I can recall. Michael: The ending scene is unreal. Knowing that they filmed that in 1973 freaked me out and I immediately went to Google to search for any information about how they safely filmed an inferno that clearly had a man and a goat trapped inside of it. From what I read, firefighters were constantly putting out the fire between takes and they were “always in control”, and that the goat was simply “annoyed”. I have a hard time believing that it wasn’t terrified. Hell, I have a hard time believing Edward Woodward wasn’t terrified. Needless to say, the scene in question is an amazing feat in filmmaking for the sheer scale of it and the fact that nothing went wrong. It’s a hell of a sequence. 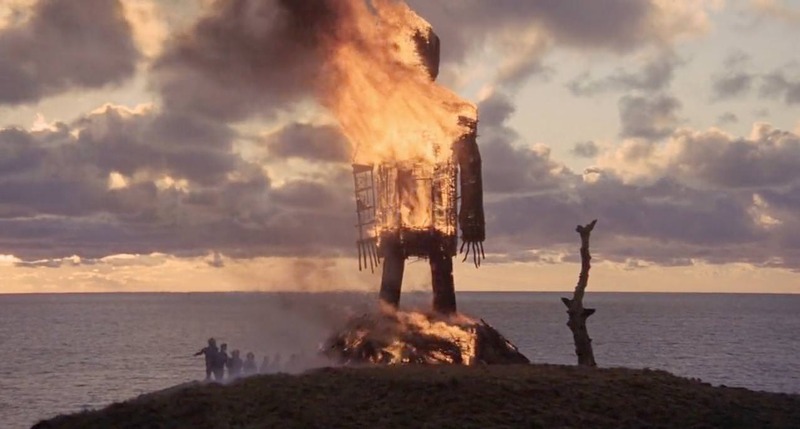 Aaron: I love any film that can justify truly striking imagery, and The Wicker Man burning at the end is as iconic as anything I’ve ever seen. I really admire how they don’t just light the thing on fire instantly. Giving Howie time to sit in the Wicker Man and realize that he is about to burned alive is so much more unsettling because it helps the viewer to get in that same headspace. It’s nightmare fuel. And I have to give one more nod to Christopher Lee, who is great in this. It says something about the film that a man as prolific as Lee considered this to be the best movie he was ever in. Michael: As usually happens with me, talking over what I just saw with Aaron helps my rating go up a little bit. I respect this movie more than I enjoy it, and I still am not a fan of the folk music because the cult just feels like “what if Simon & Garfunkel had a cult?” But the third act is perfect, and the creep factor via the world they built was very good, so while this isn’t a top tier movie for me, it’s not terribly far away. Aaron: The Wicker Man is one of the more unique films I’ve seen, with very few films even trying to chase its mood or tone. 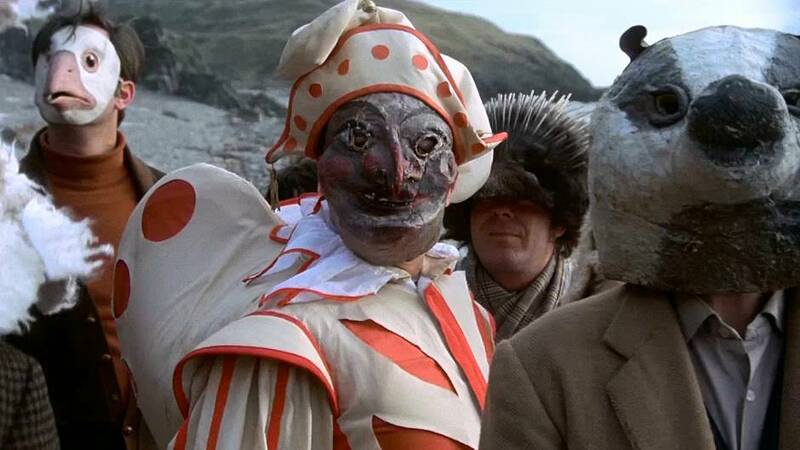 It’s hard to imagine anyone doing it any better – this is the ultimate “folk horror” story. That makes it timeless to me, and I’ve enjoyed it more every time I see it. Michael: It’s still just a footnote when compared to the Nicolas Cage version! Aaron: I think what offends me most about that film’s existence is that it spoils the ending of the original and it’s something that deserves to be viewed cold. Should we review the Nicolas Cage version of this film? Michael: So on my own, this October, I’m watching 31 horror movies in 31 days! Of the ones I’ve watched so far, this was one of the most interesting, so I want to show it to Aaron and talk about it. Aaron: I’m interested in this just based on your reactionary texts. I’m looking forward to it. Michael: It could have been perfect…and I’m lamenting the way they went wrong. 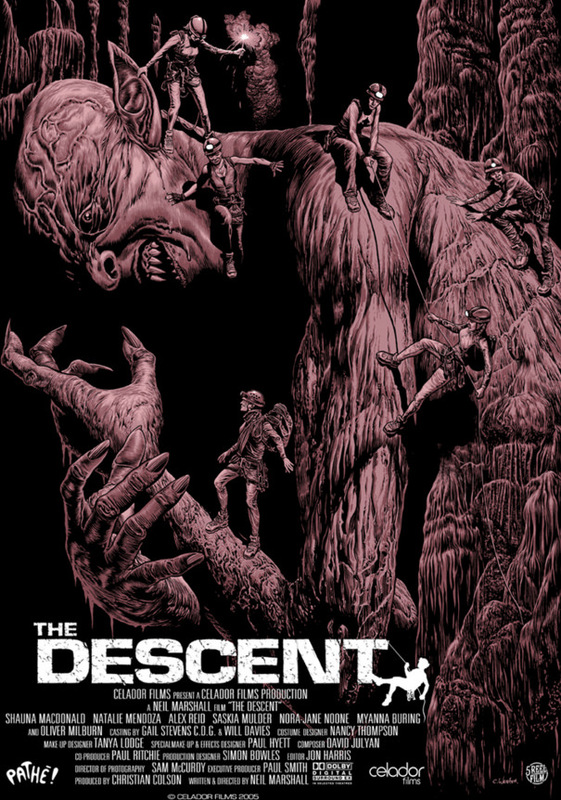 How do you feel about The Descent? 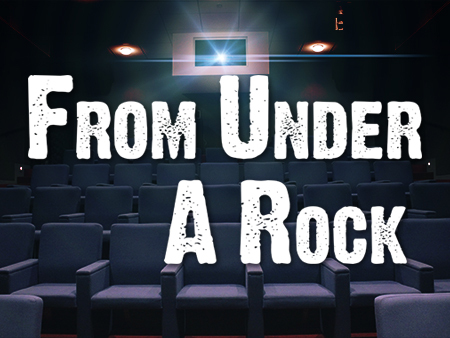 Check me out here to see my star ratings for over 1,100 films. Recent reviews include Pumpkinhead, Child’s Play and A Star is Born. The Wicker Man is unlike any horror movie you're likely to have seen in the last several decades. It starts as a murder mystery on an island of suspiciously cheerful pagans, but gradually reveals itself to be a darker tale altogether. The ending works like gangbusters, and while Michael and Aaron have differing opinions on how effective the first two acts of the film are, it is absolutely worth watching with little to no knowledge just to get the satisfaction of one of the most iconic climaxes in horror. This gets a definite recommend.